PayPal Bingo – Pay with PayPal at Sugar Bingo online! Play online bingo with Paypal! Play today at Sugar Bingo - Top Paypal bingo site in the UK! 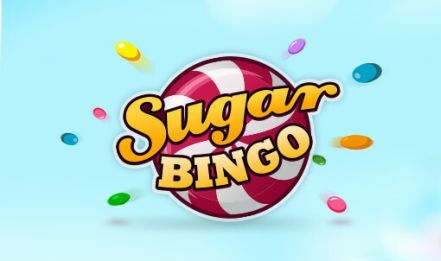 Sugar Bingo is all about giving players a fun bingo experience and we want to make sure you have the smoothest time on our site. That's why we offer the PayPal bingo option so you can enjoy hassle-free transactions and have more time doing what you love best - playing bingo! Sugar Bingo is one of the best UK Bingo Sites that accept PayPal allowing players to make the safest deposits and withdrawals. Enjoy a fantastic bingo and slots adventure with the most trusted online payment system - PayPal! PayPal is a digital wallet and payment system that was established in 1998 and has since become the best way to pay and get paid online. With over 150 million users worldwide, PayPal is one of the most trusted payment methods and the top choice for online bingo and casino players everywhere. One of the most appealing aspects about playing at PayPal bingo sites is that you never have to share your sensitive financial details with the bingo site. Simply enter your PayPal user email to pay in the most secure way! You can deposit and withdraw your winnings at Sugar Bingo from desktop and mobile, 24/7! Sugar Bingo is one of the bingo sites that use PayPal so you can get started right away. Firstly, open a PayPal account if you don't already have one. Head to their website, click on 'Sign Up', fill out your information, and set a password. When you are ready to fund your account, choose the PayPal options in the cashier, select the desired amount, and you'll find your balance in your account immediately. Now you're ready to play the best PayPal bingo for loads of excitement! Although it's the preferred payment method for many players, not all bingo sites accept PayPal. Sugar Bingo is proud to offer their players the option to play bingo with PayPal so they can enjoy a 100% safe and secure bingo experience. All of our sister bingo sites also accept PayPal deposits and you can read more about them here.